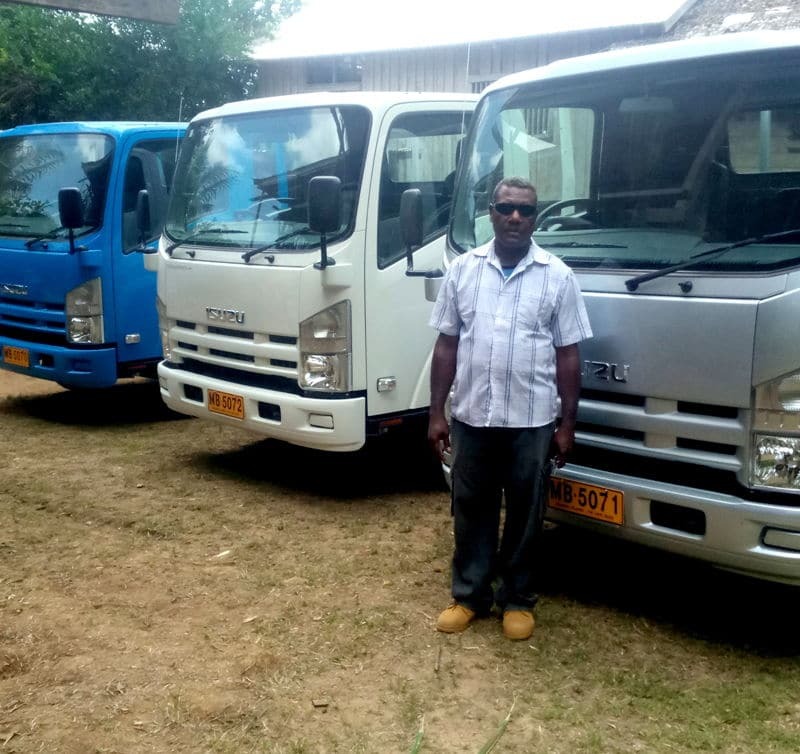 Members of the Roha Tribe Cooperative Society in Central Guadalcanal last Saturday took delivery of three 3-ton vehicles for their business. During the launching at Kaimomosa village, Chairman of the Roha Cooperative Society Mr Daniel Una, congratulated his members but warned them to take care of the business for the benefit of all Roha members. “These three vehicles don’t belong to me, my executive or a few only. They belong to all of us Roha members. Today, I hand them over to you to look after them for our collective benefit,” he said. A very emotional Una, who broke down during his speech, also said as a not highly educated person, he is determined to work together with all members of the Roha Cooperative for their collective benefits. He also assured all tribe members that he and his executive will continue to strongly support the Tina Hydro Project until it materializes. Roha Cooperative Society Business Manager, Mr. Thomas McKenzie also appealed to all tribal members to support the initiatives created by their executive and promised he would do his best to manage the new venture. “We did not have any say at all in this decision as the Cooperative is yours and therefore the executive is in charge. The Project Office will continue to do all it can to support investment decisions from the Co-operative executive and will respect such decisions he stressed. Mr Conning also thanked the Roha tribal Leaders for showing strong leadership which is enabling the Tina Project to progress this far.